I remember eating at Godfather's pizza around 1979/1980. It occupied the last spot in the north end of the building, adjacent to Dominik. 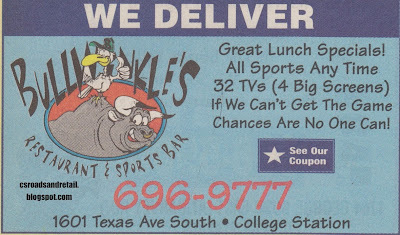 Closed in 1990 and the location became Bullwinkle's Pub. 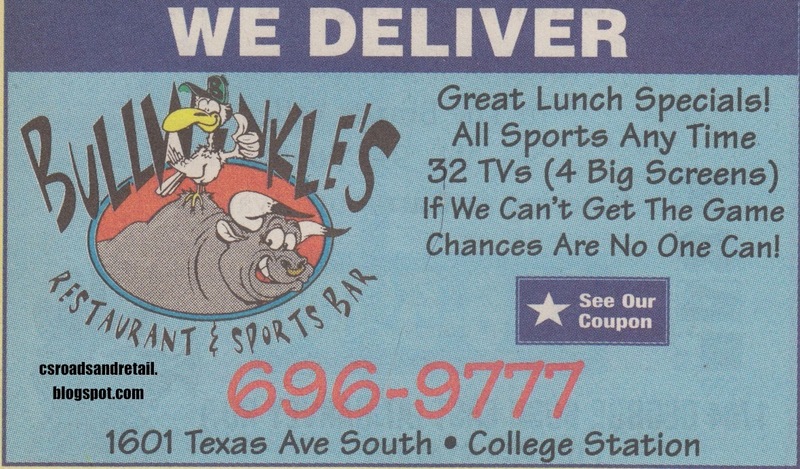 Bullwinkle's catered to A&M students and their gimmick was serving beer in yard and half-yard glasses. In south end of the small building behind the gas station at the corner of Texas and Harvey was a restaurant called 3-C's bar-b-que. Closed sometime in the late 80's. This was their second location. The original location was just south of downtown Bryan between the railroad tracks in the triangle formed by S. Main, Finfeather, and Pease St. It was in a really old quonset hut building. 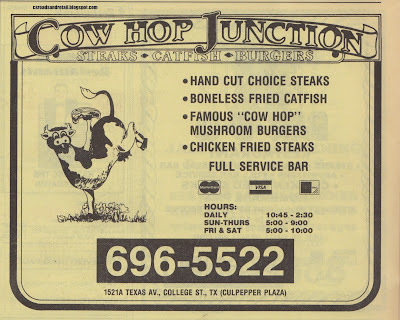 Pretty good bar-b-que as I recall but it's been a while. Coach's is an old liquor store that has been around for a long time. Didn't realize it still existed. 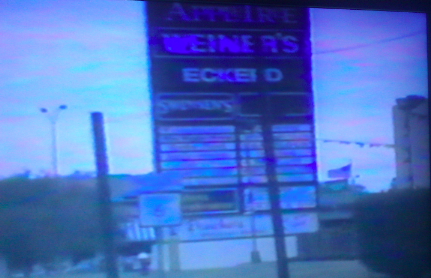 In the late 80's and early 90's it was located in an old gas station in Southgate. I believe it was at the corner or George Bush and Highland where the Aggieland Outfitters building was built. Firehouse Subs used to be Swensen's. Sally Beauty and FX Games used to be CiCi's Pizza. HobbyTown USA used to be Payless ShoeSource. Dollar Tree and Anna's Linens used to be Weiner's. POETS used to be Hastings and a couple of the other spaces. The northeast space was Godfather's Pizza then Bullwinkle's then Margarita Rocks then Katsuya's (briefly), and now vacant. 1727 Texas was 3-C BBQ then Souper Salad, and now Napa Flats. Mugwalls is out Harvey in Woodstone. Muldoon's is the one at Culpepper. 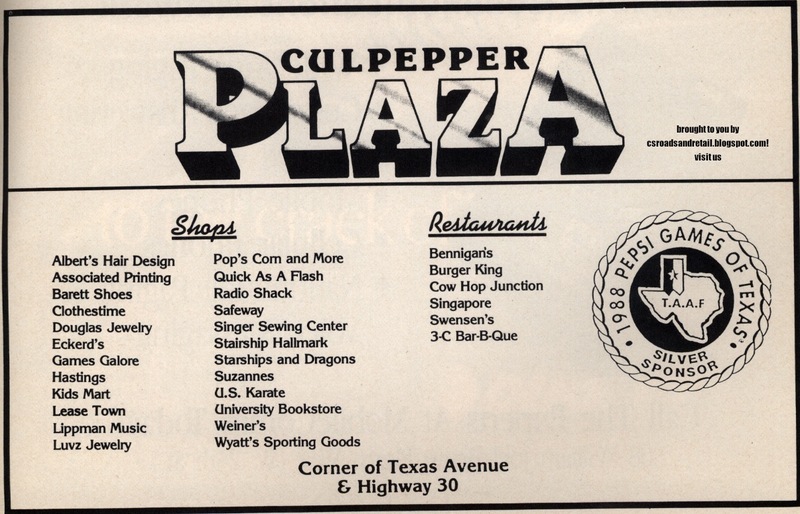 At one point, there was also a tobacco store (nice humidor) and a bagel place in the center. In the early 80s, around 1982-ish, a place called Games Galore was maybe two shops east of Swenson's. It was full of stand-up video games, and Wednesday's were double-token days, so a buck got you 8 tokens instead of 4. We'd often go to Wyatt's Sporting Goods to get our sports-related gear. 3-C barbecue was popular with some folks and I remember it fondly. Weiner's always had the same smell, kinda stuffy but "new clothes" smelling. I hated going there with my mom because she would take forever and I was bored out of my skull while she looked a clothes. Good place, neat experiences, and a great place to grow up around and be involved with! Many thanks for the posting! My parents opened Sandy's Shoes in 1977. My mom is Sandy. I used to stock shelves for a couple of dollars an hour and then go over to Hastings and blow it all on records. The College Station indoor smoking ban nearly killed POETS Billiards when it took effect. I remember in the months after the ban took effect, at times the entire place (all the patrons and even the guy playing guitar on stage) would all go outside to smoke at the same time. I remember Games Galore as late as '92 or '93. 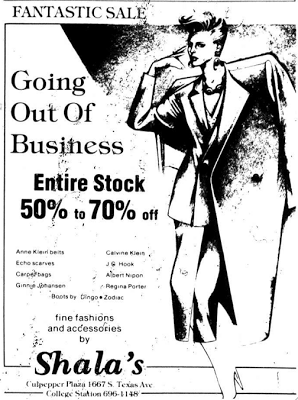 It was on its way out by then and didn't last any more than a couple of years after that. 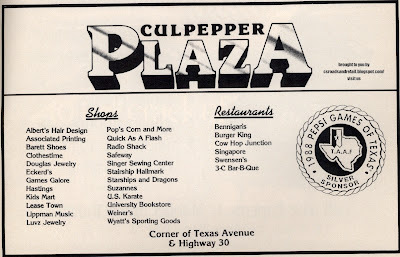 I also remember Floppy Joe's; my brother and I rented X-Wing from there. I worked at Apple Tree as a high school job. I have vague recollections of a Fox Photo 1 hr film lab in the Culpepper parking lot as well, but I may be off on this. Maybe someone else can confirm or deny this. There certainly was one in that general area somewhere. 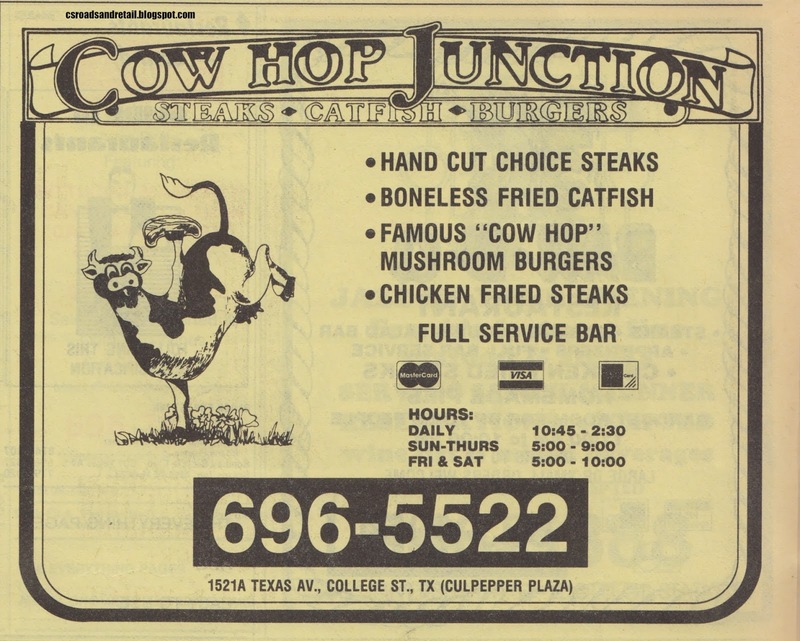 Also, does anybody remember when the nearby Whataburger burned down and was quickly rebuilt?